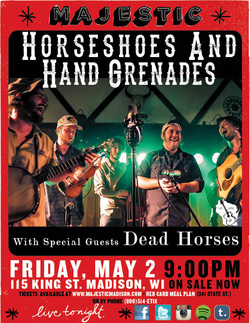 Wisconsin's HOTTEST bluegrass band, Horseshoes & Hand Grenades, bring their high-energy, live show to Madison, after a winter's worth of sell outs all over the Midwest!!! 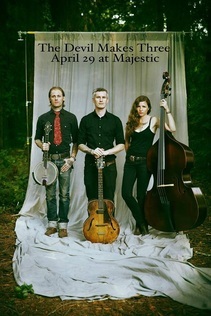 Joining them will be another rising Wisco bluegrass act, Dead Horses!!! This homegrown, boot-stomper is also likely to sell out, but luckily for you, we are giving away 4 SETS of 2 TICKETS EACH!!! That's right! 4 separate winners will receive 2 tickets EACH!!! Just follow the simple instructions below to get entered! The winners will be announced on Thursday, May 1st! 1) RSVP to the EVENT ﻿PAGE, if you haven't done so already. 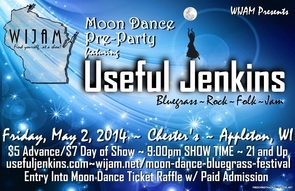 2) LIKE WIJAM on Facebook, if you haven't done so already. 3) LIKE & SHARE this contest. 4) COMMENT below to confirm your entry. That's it!!! We'll pick the 4 lucky winners at random on Thursday, May 1st!! !